So you’ve chosen your theme and can’t wait to plan your dream wedding, all you need now is a venue full of character and charm! The team has been hard at work and made your research a whole lot easier! Here are our favourite countryside venues from around Australia. We guarantee you’ll fall in love with each of them; it’s a shame you can only pick one! The stunning Fernbank Farm, located on the Central Coast in NSW is the perfect mix of rustic whim and luxurious sophistication. Here everything is provided, with your accommodation and ceremony and reception venue all onsite. This restored vintage homestead complete with lakes, gardens and fig trees is an elegant, sophisticated and quaint location for your big day! A whole new world of wedded magic awaits you at this hidden Hunter Valley vineyard. Briar Ridge is a Hunter Valley classic, ideal for a chic countryside fairytale. Here you will say 'I do' overlooking mountain ranges, lush vineyards and tranquil gardens, pair this with sensational wine and what more could you ask for! 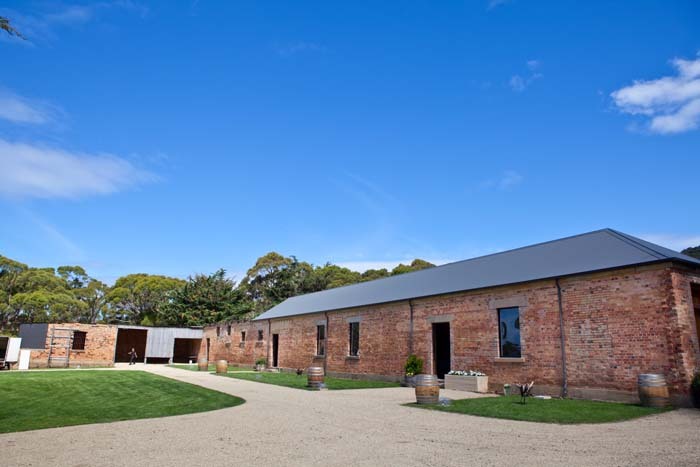 Nestled in the rolling hills of the Macedon Ranges, an hour out of Melbourne, Spring Hill Estate by Lancemore is guaranteed to make your wedding dreams come true. With years of experience planning weddings they are invested in making your day unique and perfect for you. It also helps that the grounds provide a simply stunning backdrop for your ceremony, photos and reception. Their impressive bridal suite is just the icing on the cake, sure to make you feel pampered and special on the big day. Heritage-listed Tuggeranong Homestead in the heart of southern Canberra boasts 70 acres of secluded countryside with indoor and outdoor options for your big day. With a variety of locations to choose from, including tranquil sandstone gardens; an industrial machinery shed and a rustic homestead you can't go wrong! Full of whimsy and charm you can create a truly unique and forever memorable wedding day for both you an all your guests! Whether you have two guests or 200, Spicers Hidden Vale is sure to provide the location for a luxury country wedding. With spectacular grounds this property an hour out of Brisbane has over 1200 acres of picture perfect countryside. The fresh air, breathtaking vistas and delicious menu will have your guests #swooning. Sparkling lakes, tree-lined walkways and intimate gardens... this place is a romantics dream! Not only is this place the epitome of dreamy it also has a delicious menu at their acclaimed restaurant to match. Wild men and ladies will be swooning over this untamed location. Adventure to Australia's top end for a wedding experience you won't forget! Although off the beaten track, this venue does not lack in class, comfort or style. For a truly rustic outdoor wedding Ooraminna Station Homestead in outback Northern Territory is hard to beat. Full of the character of the Australian outback a wedding here is one unforgettable event. Enjoy a magical outdoor ceremony among the native landscape, followed by sunset cocktails and a lavish dinner in one of the many onsite locations before the night away under a canopy of outback stars and the luxuries of a bridal suite. WHAT COULD BE MORE PERFECT? 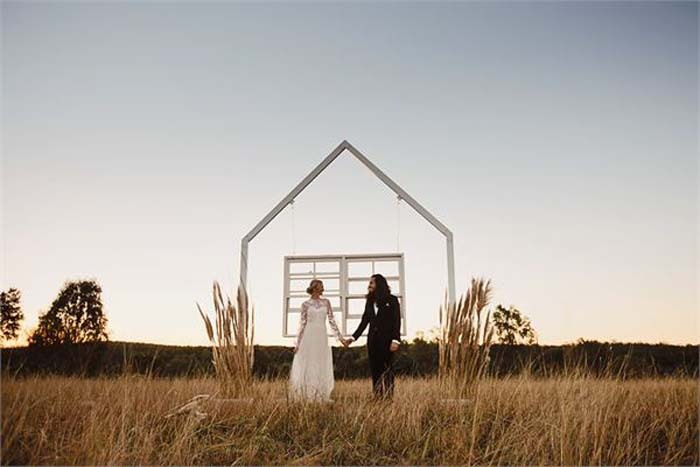 An oasis of style and comfort amidst the rugged South Australian terrain, Arkaba Homestead is a rustic bride’s dream. Each detail of the homestead has been tastefully restored and designed to exude luxury whilst keeping a sense of history and charm. This place effortlessly captures luxury and indulgence while also offering an outstanding experience of the Australian outback. Nestled among 100 acres of farmland, The Old Farm provides a unique and timeless wedding experience. This rustic courtyard is full of character, featuring an original farm house and colonial era clay brick and sandstone walls. The stunning reception barn with polished Oak floors and exposed original timber beams is a textured canvas ready to be transformed in to a country oasis. The property is close enough to Safety Cove to enjoy stunning views of the rugged coastline, the perfect location for unique and wild hearts. Still looking for your perfect wedding venue? Click here for our wedding directory!